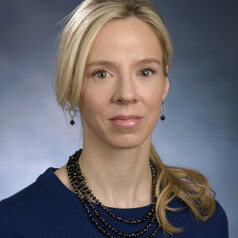 Sheryl Strasser is an associate professor in the School of Public Health at Georgia State University and Partnership for Urban Health Research. She is an affiliate faculty member of the Gerontology Institute. She received her doctorate from University of Alabama at Birmingham in health education and health promotion in 2003. Dr. Strasser previously held faculty positions within the New York University Colleges of Dentistry and Nursing, and the University of Alabama at Birmingham, School of Medicine. Dr. Strasser has collaborated on externally-funded projects related to prescription drug abuse, youth alcohol use and prevention, tobacco control, and marijuana research totally over $7 million in awards ranging from the National Institute of Aging, National Institute of Minority Health and Health Disparities, National Institute of Dental and Craniofacial Research, the Agency for Healthcare Research and Quality, as well as the RAND Foundation among others. She has also completed a fellowship with the Institute of Healthcare Improvement in Cambridge, MA. Dr. Strasser specializes in interdisciplinary health promotion planning and evaluation research focusing on substance abuse and prevention and healthy aging. Dr. Strasser utilizes innovative teaching modalities to connect with graduate students-and she currently teaches graduate courses in intervention and evaluation research, public health ethics, as well as social and behavioral aspects of public health.